After the House voted earlier this year to pass H.R. 620, or the ADA Education and Reform Act, the proposal seems to have permanently stalled after 43 Democratic Senators have pledged to filibuster the measure. As first reported by Rewire.News, Senator Tammy Duckworth (D-IL) has successfully wrangled the votes required to keep the Senate from bringing up H.R. 620 for a vote. As AN first reported back in February, the passage of H.R. 620 would have required written notices to be given to places of business found in violation of the Americans with Disabilities Act (ADA). The violators would have 60 days to respond to the notice with an action plan, and another 120 days to implement the changes before they could be held liable. The change, ostensibly meant to cut down on the number of frivolous lawsuits filed by lawyers seeking quick payouts, was quickly met with resistance from disability advocates. Noting that H.R. 620 would shift the burden of proving accessibility by forcing disabled patrons to file specific claims before action could be taken, Senator Duckworth has been a vocal opponent of the measure. Besides publishing a scathing op-ed in the Washington Post last year, Duckworth spearheaded the initiative to collect the votes required to kill the measure. Duckworth was able to secure 42 Democratic votes against H.R 620, insuring it would be filibustered if brought to a vote on the Senate floor; Senate and House leadership typically won’t bring items to a vote if they know the measure won’t pass. “When supporters of the discriminatory H.R. 620 argue for its necessity by citing examples of alleged ‘minor’ accessibility infractions, they miss the point that this bill undermines the rights of people with disabilities, rather than protects them,” noted the 43 Senators in a letter to Senate Majority Leader Mitch McConnell. Disability activists had been forcefully protesting H.R. 620 since its inception, going so far as a protest in the Capitol where ten people were forcibly arrested on February 13. 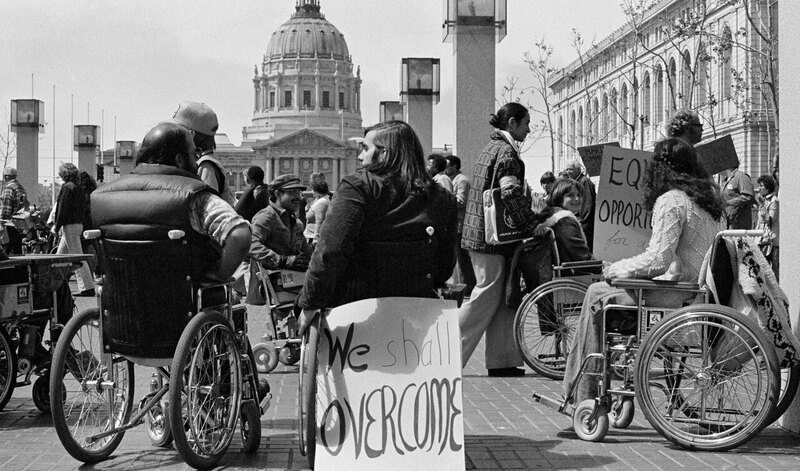 Opponents had claimed that the very premise of the bill were flawed; the ADA was passed in 1990, and businesses have had 28 years to make their premises accessible.